Strata Infosys Inc is a privately owned offshore software development company that provides a wide range of offshore IT outsourcing services and innovative solutions with primary focus brought upon software development. 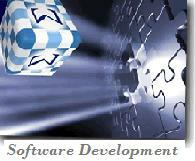 Besides offshore outsourcing company Strata Infosys Inc is also famous for its professional web development services. Our web development team combines the efforts of keen experts in web portals, e-business applications, online communities and ecommerce software development. Since we pace up-to-date with the cutting-edge IT trends we have gained considerable knowledge base in such domains as PHP, Java and .NET software development. From assessment, development and management to technology and platform migration and re-engineering. Remote facility with qualified team of developers located at our offices working only on Client's projects and dedicated only to client. Graphical design, Application Web-enabling, Web Hosting, Corporate Website, Intranet solutions, Integration. IT staffing is a specialized area and what gives us an edge in this area is our knowledge of the changing dynamics of IT staffing. We offer resources on both contract and permanent basis. With our extensive network and recruitment procedure we see to it that our clients not only get their IT staffing needs fulfilled but also benefit from long-term solutions. At a time when job-hopping and job-shopping have become nightmares for IT companies, we strive to build long-term relationships between the staffers and employees. Hiring a professional team from Strata Infosys always save your time, efforts, money and power, in return you’ll get complete peace of mind and on time delivery satisfaction. Full-service for data entry, online/offline forms processing, data conversion, PDF conversion, XML conversion.